Durant Cricket work in partnership with 4Grants to help clubs and schools that are struggling to fund their new electronic scoreboards. 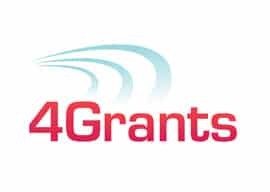 Many clubs, schools and organisations are great at delivering sport or community activities but would benefit from the support of grant funding. We have a clear vision to expand community grant funding significantly, in order to help transform the lives of local communities. We will assist your vision to help your club, school/college or organisation attain funding. There is a cost involved with organising the funding but we operate on a no win, no fee basis.